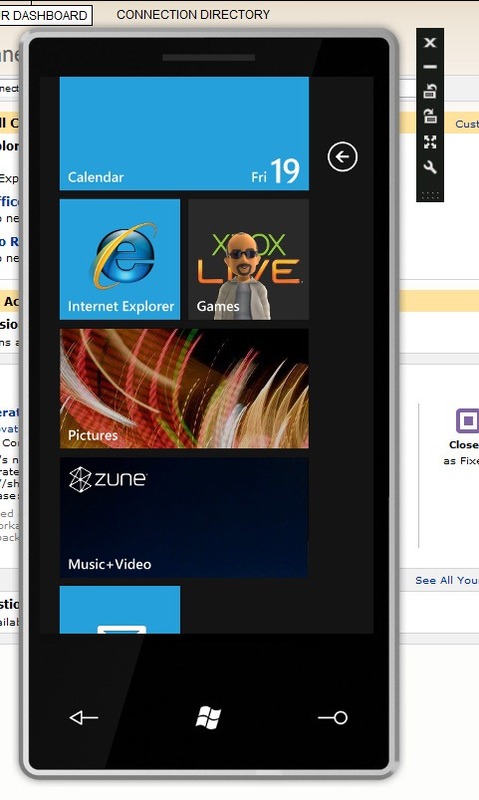 Today twitter brought me a link to a very interesting blog of Dan Ardelean who’s exploring Windows Phone 7. 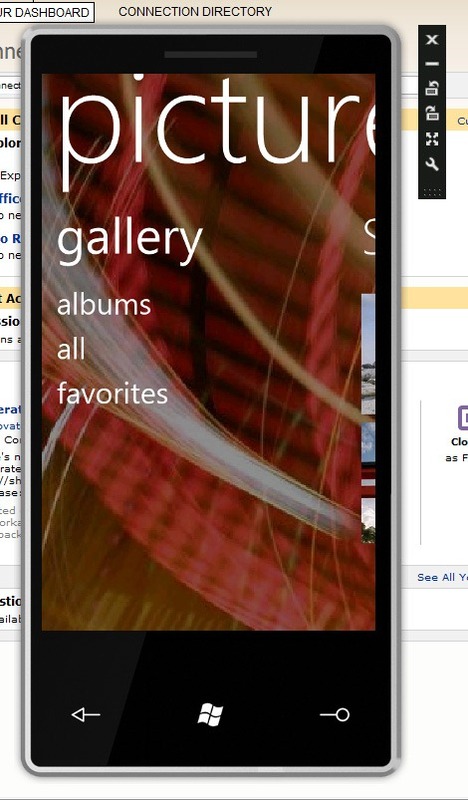 As you know, Microsoft offers a free version of Visual Studio Express for Windows Phone 7 which comes with an emulator. But in that emulator you can only run IEMobile (obviously, to test your websites in it) and apps you are developing in Visual Studio Express. So I was really amazed by what Dan did – he unlocked the full version of emulator and made all the default apps available! Visit his blogpost for more details and the link to the modified emulator image (unfortunately, the link is now down as Dan says he doesn’t know what Microsoft will think about this). And you’ll get the emulator running the unlocked image! As far as I understand, Dan was looking at the registry file from the emulator’s image binary and found that some applications were blacklisted, then he enabled all of them and repackaged the image. Sounds simple, but believe me, it’s not! So it will be dead easy for Microsoft to block certain applications with new updates, especially if updates are going to be mandatory and automatically installed. 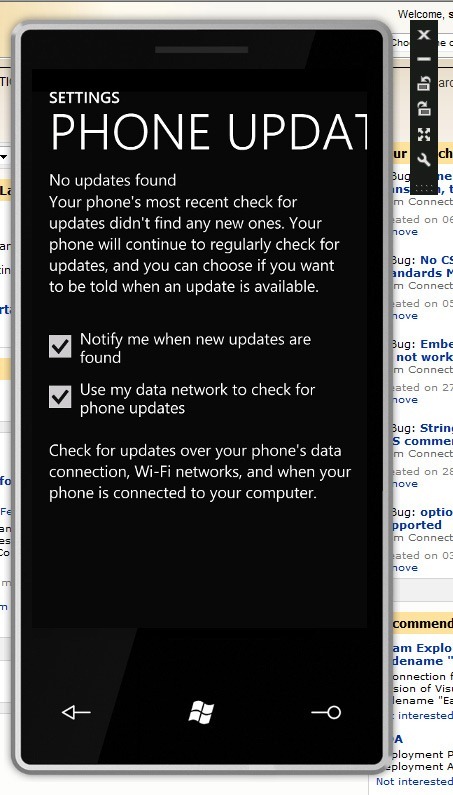 Does this “notify me when new updates are found” mean that updates will not be installed automatically and we’ll be able to choose what to install? We’ll see.